Samsung Electronics today announced that Samsung Tomorrow Solutions 2019, an idea competition aimed at creating a better world, will be open globally starting from April 11th. The contest is an annual event which was held for the first time in 2013 with an aim to contribute to society by developing creative ideas to solve social problems. This year is the second time the event is being held globally. Applicants can submit their ideas in four categories, including education, health/medicine, environment/safety, and local community development. Samsung Tomorrow Solutions helps the applicants develop and implement their ideas utilizing Samsung Electronics’ technology and capabilities, making it distinctive from other contests that simply offer monetary prizes. Now in its seventh year, the competition boasts a number of successful submissions that have made an impact on society such as a thermal imaging system and a portable diagnostic device for eye diseases. These solutions are now being used in fire rescue missions and in health care services in developing countries, respectively, contributing to local communities and creating a better world. Teams who advance to the final round of the competition after passing the preliminary and semi-final rounds will be eligible for financial support for further development of their solutions as well as mentoring by Samsung Electronics employees and experts in the relevant field. A total of 200 million Korean Won (approximately 180 thousand U.S. Dollars) in prizes will be awarded to the winners who will put their solutions to the test by developing and trialing them. After the competition is completed, the winners will attempt to make a tangible difference in society by applying their own solutions to real life situations. For solutions that are expected to have a particularly far-reaching impact on society, Samsung Electronics will provide an unlimited amount of support for product/service development, partnerships, and initial business costs to commercialize the innovation. For example, the portable diagnostic device for eye diseases presented by team Project BOM, the grand prize winner of the 2018 Impact awards, received additional technical and financial support from Samsung Electronics to further develop the technology. Project BOM developed a retinal camera and a medical information platform using smartphones to reduce the occurrence of preventable blindness that results from limited access to medical treatment. 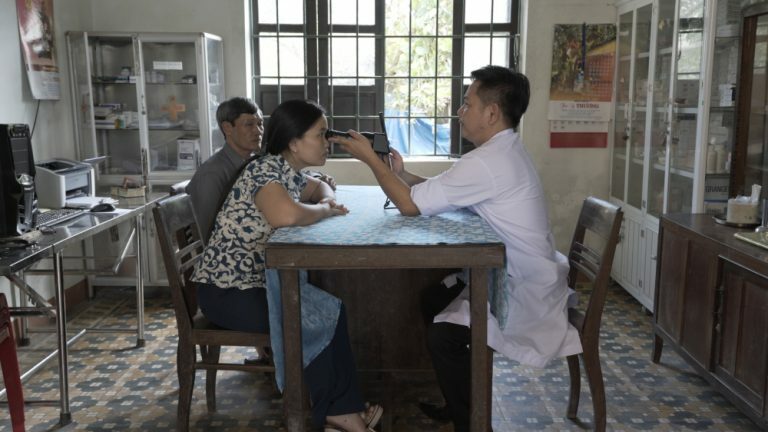 More specifically, Samsung Electronics and the Project BOM team collaborated to make improvements and provided the device to 20 community health centers in Quang Tri, Vietnam. Distribution to additional 20 health centers in other locations is planned for this year. This solution started from an idea by medical professionals and was realized with the support of Samsung Electronics to bring innovation to the medical industry in developing countries where there is a lack of advanced equipment for eye diseases. Samsung Tomorrow Solutions is open to anyone who wants to contribute to creating a better world. Interested applicants can apply at the Samsung Tomorrow Solutions website (http://www.tomorrowsolutions.org) by 6 p.m. on May 16th (UTC+09:00).